Happy Monday everyone! I hope your week is off to a good start. Ours is getting started slowly. I feel like I have a hundred million things on my to-do list and yet I’m not really sure what I’m supposed to be doing. I think it might be time to take a scattered day and recharge. In other news, the first batch of 2016 Monthly Calendar printables are ready for those of you who’ve been asking about them. I’m pretty sure I say this every time I make a new calendar, but I think these ones might be my favourite! I played around a lot with how to style them and in the end, I opted to keep it really simple. Rather than playing with a pattern I opted to let the colours be the stars of the show. You got a little glimpse into what I was planning in the 2016 Year on a Page Calendars, and now you can see the rest. First up, the classic, single page per month layout. The bones are still the same though for 2016 I opted to keep it just a basic grid. Nothing fancy. As you can see in the picture below, the colours really are center stage this year. 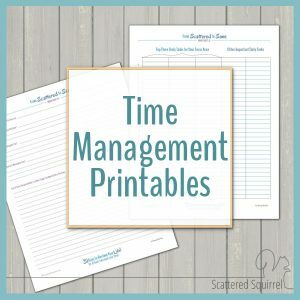 I use these single page ones for when I’m planning organizing, cleaning or home improvement projects. I just print out the month or months that I need and I can plan out how I want things to progress and then compare it to my actual planner and see if my expectations are realistic or if I have to shuffle things around. Next up we have the 2 page per month layout. This one is the one that will be going into my planner later on this year. I love the extra room to write things down, and I really like the notes section on the right-hand side. Again, I kept the layout the same. I have to say I’m really liking the simple look to these. Don’t get me wrong, I love pattern and colour, but there is something really nice about clean and simple too. Before I dash away, I did want to offer up a couple of printing tips. If your printer has margins set, the band across the top will not go completely from side to side. You can check for margins in your printer settings. To print the single sheets back to back, (if you don’t have a duplexer) print out only the odd pages. Then flip the stack over, however, it works for your printer) and print all the even numbers. If you’ve never tried double-sided printing before, try it out by printing only page 1 and then only page 2 on the opposite side. 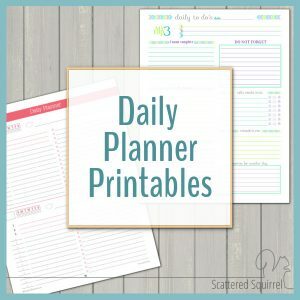 To print the 2 page per months ones double-sided so that it looks like the pic above when it’s in your planner, do the same thing as stated above, but before you flip the stack, remove the first page for January. Then put the stack in and print. This means that page 1 and page 24 (the second half of December) will only be printed on one side. As always, I do so hope you enjoy the printables. If you have any questions please let me know in the comments or drop me a line via email. Until next time, I wish you all a wonderful week! Are you already looking at planning part of 2016? I’d love to hear what you’re planning for! As you may have guessed from previous posts, I’m a huge fan of the disc bound options like the Arc Notebooks, for binding my planners together. They give me all the flexibilty of a binder combined with all I love about coil bindings. You can easily use a binder too or, take your printed pages to be bound at a print and copy shop. I personally like the freedom to switch things up a bit. When it comes to printing my planners I prefer to use a heavier weight paper. While the really cheap copy paper will work just fine, I like the extra durability and smoothness I get in a heavier paper. Also, I like not seeing the ghost image of the stuff on the other side. Currently my favourite choice for paper is this Hammermill 28lb Laser Print paper. It’s not as heavy as I would like, but it’s as high as I’m willing to go on price at the moment. I print all my planner pages on our old black and white laser printer while I save up for a replacement for my colour printer. When it comes to using my planner, two of my go-to tools are my Pentel Energel Gel Pens and Sharpie Retractable Highlighters. A good writing instrument makes all the difference, and those Pentel pens are amazing. They write very smoothly, the gel ink dries fairly quickly, there is very little bleed through, and the colours are nice and vibrant. I like to colour code some of my planner entries, but I’ve found that I don’t always like taking the time to use different pens when I’m writing stuff down. That’s where the highlighters come in. I can do all my planning in any colour ink I want and use highlighters to colour code the tasks when I’m done. The retracable highlighter are quick and easy to use when I need them. These are just a few of my favourite planner supplies. One of these days I’ll put together a post that covers everything I use to make and use my planners. In the mean time though, feel free to ask questions in the comments. Previous Post: « Want to Know How to Make the Most of Your Blogging Time? I’ve been wanting to work an orange or peach into the printables for a long time now, I thought the calendars would be a great way to do it. I can’t plan that far ahead either, but I know lots of teachers and homeschoolers are already working on their lesson plans for next year. 🙂 I’d love to be able to plan that far ahead. WOW! I am so glad I found your site. I love having a planner and you have such a wonderful design and lay out. You have everything I was looking for…2 page month layout and2 page weekly lay out. And I’m so glad you’re posting 2016, so helpful for those appointments that are 6 months to a year away! Thank you, thank you, thank you!!!! Hi Mysty, I’m happy to hear that you were able to find printables here that are what you were looking for. I’m glad the 2016 calendars are coming in handy for you. Hello! I can get the one per page to open but not the two per page! Help!!! I am a busy mother of four and I am also in charge of the rising senior class where I teach. I need to get things on my calendar quickly. The days are speeding away! Sounds like you have your hands full Cindy. 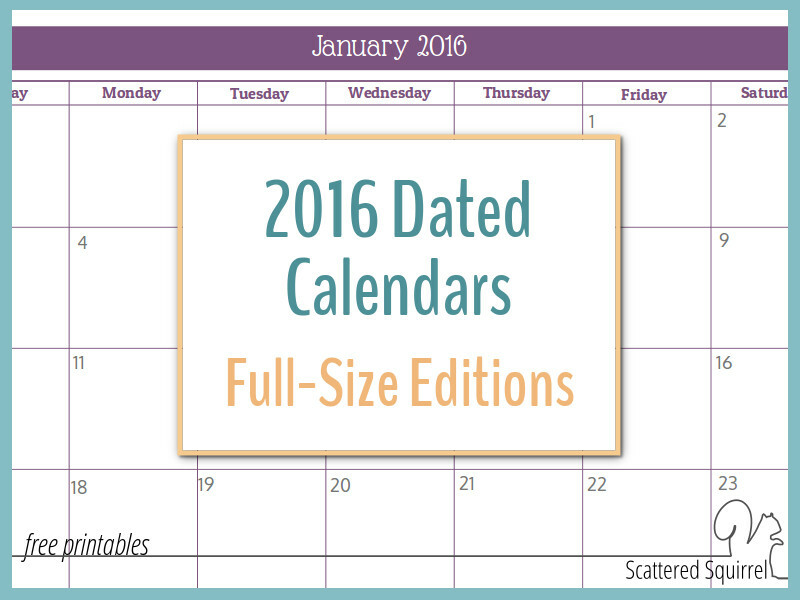 I’m happy that the 2016 calendars are ready for you start planning! Thank you so very much for the 2016 calendars!! As always, they are beautiful, timely, helpful. May you be blessed for this work! Hi, I LOVE your work! I am looking forward to the 2016 print! I love the purple/blue/green prints you had for this year. I would love to see (maybe you have it and I haven’t seen it yet) a activity log for tracking exercise.Thanks for all the hard work you do. I don’t have a fitness tracker at this point, but I have add it to my list of ones to make so stay tuned. I’m hoping to have one to share soon. Each page is a letter size page, 8 1/2″ x 11″. I hope that helps. Do you have this same print on a 2015 calendar? No I do not. The 2015 calendars are a different colour scheme and design. Same layouts and sizes though. Thank you so much for the printable calendar. I have been redesigning my calendar trying to figure out a way to make it work better for me. I have been searching for about 8 hours for a 2 page monthly calendar that I like. Well you make one I love! These are the perfect colors for what I am planning. Thank you so much. I found your blog by a Google search. Wow, that’s a long time to be searching. I’m so happy you finally found one you like, and thrilled that it was mine. 🙂 I’m so happy you found us. I have some new planner printables that I’ll be sharing later this year that will match the 2016 colour scheme and style, so I hope you’ll visit again. Do you have this style in “2015” as well? Depends on what you mean by style. I have both single page and 2 page per month versions for 2015, but in a different colour scheme. You can find them on the dated calenders page. Go to Printables on the Menu Bar and click the Dated Calendars Button (2nd on the top row) and you’ll see them all. If you mean colours, no I don’t have the same ones for 2015. You are very welcome Spring. I hope you enjoy them. 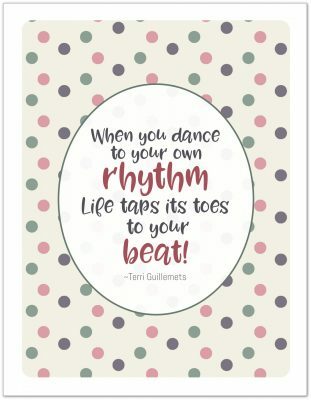 *Thank you* for all your printables, but especially these, especially today! 40ft deep in planning and realized I HAD to have a 2016 planner size calendar! Bless you and thank you!!!!! You are most welcome Sarah! I’m glad these came in handy for you. I just printed off my own for next year. Who would have thought I would need it already, but I’m finding more and more that I do. lol Better to have the calendar than a bunch of note paper stuffed in a file waiting for 2016 to arrive. Do you mind if I link up to this on my new blog? I’m using the 2015 calendar and I. love.it.! Hopping over to check out your blog now. Thank you so much for your generosity. I absolutely love your calendars!! I just started an Arc Planner and these are perfect. Hi Linda, you’re very welcome. I hope you like the Arc system as much as I do. I would lost without it. Thank you so much Nadlin, I’m thrilled to hear that you like them. I hope you enjoy using them. Thank you very much for providing us with such a wonderful work. Definitely love the colors and font! Thanks again, it will be priceless for my 2016! I’m so glad you like the printables Antonia, I hope they help you in 2016. Enjoy!!! Hi Traci, I do have plans to create blank versions of the 206 calendars and I will most definitely make a version of each size that starts on a Monday. I’m not sure when I’ll have those ready to share, but I would think sometime before March. Just wanted to let you know that you are missing the number “25” in the month of June. I love these calendars they are fantastic!! Thank you! Oh no! I will see about getting that fixed as soon as I can. I don’t have access to those files right now as I’m in the middle of switching computers, but as soon I am able I will get that updated. Thank you so much for letting me know. I try hard to triple check all the printable to make sure they’re all correct, but obviously I miss things now and then. I greatly appreciate that you brought this to my attention. You are very welcome Veronica, I hope you enjoy them! Thanks Amanda, I’m happy to hear that you like them! thanks for this, exactly what I’ve been looking for! plenty of space for my own decoration too. 😁 keep doing what you’re doing!!! really appreciate. That’s awesome TYT! I’ve just recently discovered how fun decorating planners can be. I’m glad mine allows for enough room to add some pretty stuff. Thanks so much for these printables. This is a huge help to me! Hi Ali, Your full page printable is just what I was looking for. Thanks for all your work to make our life a little easier!!! WOW!!!! I love these!!! Possibly the best thing I have EVER downloaded! I’m going to paste them up on some poster board to get a full view of the year. I’ll see if I can post that when I’m done. Then I will print out a second set to use as a planner. I think. I’m a bit scattered myself…. THANK YOU!!!! Thank You! 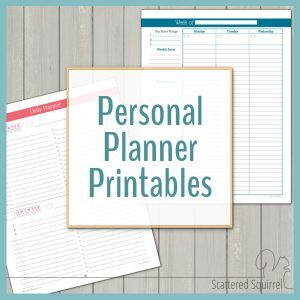 What a great printable to get myself organized and back on track. I printed out the two pages per month format and they are awesome. I just noticed however that the numbers are off for the Month of March. This is just what I was looking for, and it looks great too! 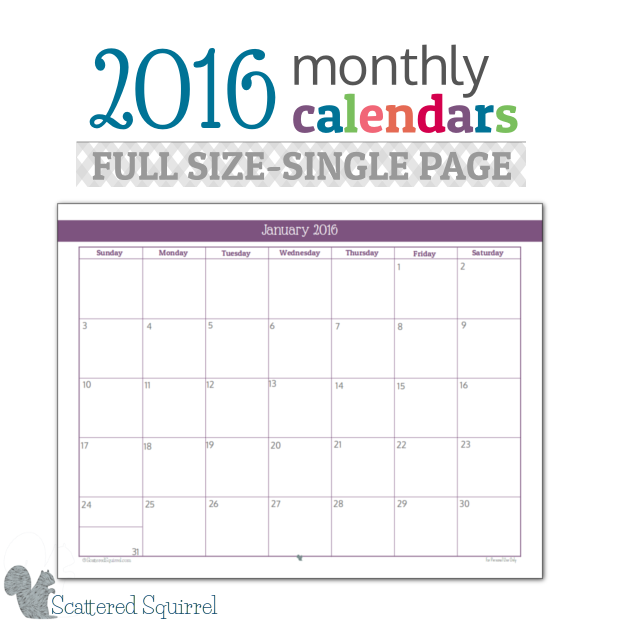 Thanks for posting this and helping me get organized in 2016. I am unable to get the numbering right on the months- when I download the month on two pages, almost every month has weird numbering. days showing up in the 70s and 90s, not the normal 1-30ish they should be for the dates. Is there any advice you can give? I love this layout, but the PDF is all wonky for me. These are awesome and will totally come in handy! 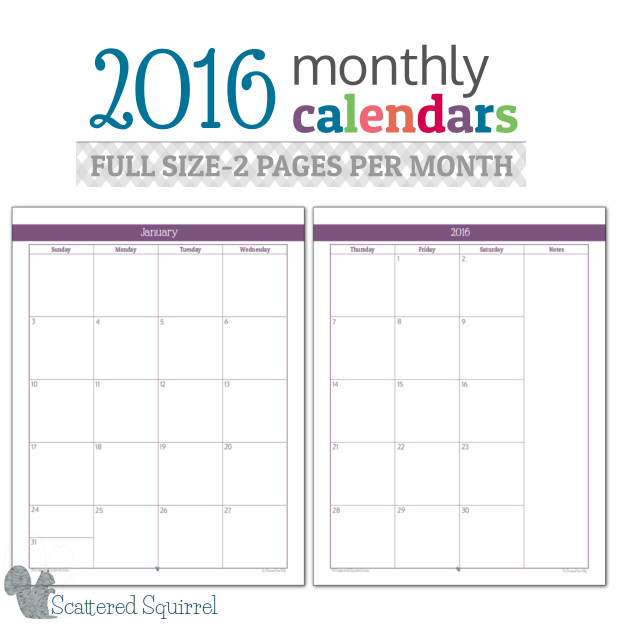 I would love the two page monthly calendar for 2017. Will it be out this Spring? Yes, the 2017 calendars are almost done. I’m hoping to start sharing them out late next week and through the end of the month! I was hoping to see if the 2017 full size two page was done yet? I love these calendars!! It’s helpful to have something to print, thank you for all of your hard work :). Hi Cara, It is done! 🙂 Click the blog button on the top menu bar and then scroll down a little and you’ll find the post for the full-size 2017 calendars. The two page per month one is in there. Hi Alli, I love your stuff! I’m looking for a 2 page calendar, but with the week starting on Monday instead of Sunday. I’m getting my teacher planner ready and I find planning with a Monday-Sunday calendar version is much more rewarding and easier. Do you do one like this? Hi Angela, right now I only have the Monday start calendars in blank/undated versions. 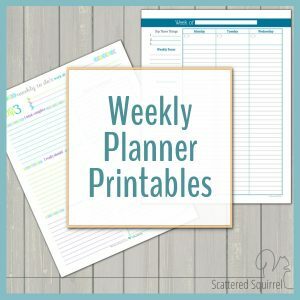 I know it’s not the same as having them already dated, but you can find them on the Monthly Planners page if you’re interested. Thank you so much! The two page printable is exactly what I needed. I am in a hurry to start my 2017 book, but couldn’t find any others with big enough boxes to fit. Great! Oh I’m thrilled to hear that Ashley. I’m happy that you found the calendars!